If you have a missing tooth or even multiple gaps in your teeth that is currently affecting your confidence to smile, give Blackburn Smiles Dental a call today. Losing teeth can really take its toll on your self-esteem; and even impact your overall confidence and ability to chew properly. At Blackburn Smiles Dental, we offer a variety of replacement options including single tooth dental implants, dental bridge solutions for multiple tooth loss, in addition to a full arch dental implant replacement - which is anchored in place with several dental implants. When you visit our dental clinic, we’ll discuss the best solution for your needs to ensure you get the best long-term results available in the industry. For some people ordinary bridges and dentures are simply not comfortable or even possible. This can be due to sore spots, poor ridges or gagging. In addition, ordinary bridges must be attached to teeth on either side of the space left by the missing tooth. An advantage of implants is that no adjacent teeth need to be prepared or ground down to hold your new replacement tooth, or teeth, in place. Implants generally last 10-20 years, depending on the location of the implant, patient risk factors and patient compliance with oral hygiene and dental visits. Because molars receive more stress and wear and tear, these implants typically do not last as long as implants located at the front of your mouth. For a more detailed quote, it is best to have a consultation with our dentist to get a customised treatment plan. Due to our location we also service many patients from Box Hill, Doncaster and many other surrounding areas. Dental implants are metal posts or frames that are surgically positioned into the jawbone beneath your gums, where the missing tooth was previously positioned. Once in place, one of our experienced dentist’s can mount replacement teeth onto them. It’s a safe, reliable and innovative replacement option for all patients with missing teeth. Dental implants are the best way to fully restore your smile again and improve oral hygiene without causing further damage to your mouth. How do I know if this is the best option for me? Any surgical or invasive procedure carries risks. Before proceeding, we highly recommend seeking a second opinion from an appropriately qualified health practitioner. 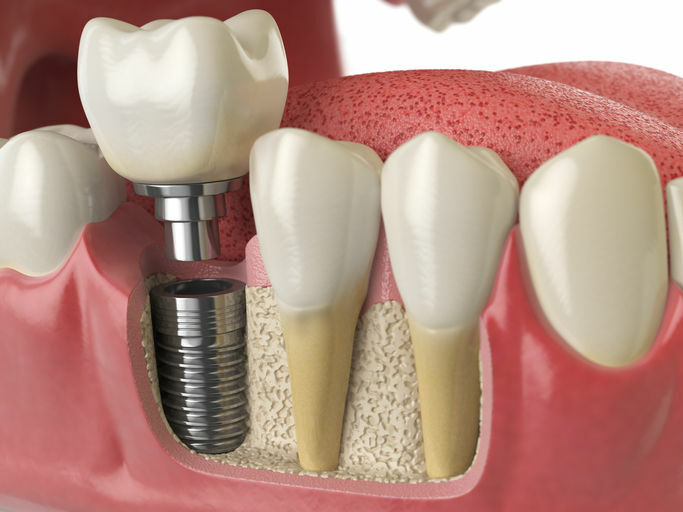 If you have been considering dental implants for a while but you’re not quite sure how the process works, feel free to book a consultation with one of our friendly dentist’s at Blackburn Smiles Dental. We’ll be more than happy to discuss the treatment options available to you and devise a customised treatment plan to achieve the results you are looking for. We have a range of cost-effective solutions to suit your individual budget including affordable interest free payment plans for your convenience.